THE LATCHKEY: A JOURNAL OF NEW WOMAN STUDIES is currently published once a year, usually in the summer; the editors accept inquiries and submissions year-round at unbolt@gmail.com. 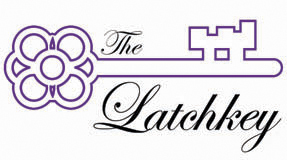 THE LATCHKEY is a new online journal devoted to the concept of the New Woman, associated with the group of journals known as THE OSCHOLARS (www.oscholars.com), and published by The Rivendale Press. THE LATCHKEY covers the lives and writings of New Women authors and figures, the representation of the New Woman in literature, culture, art, and society, proto-feminism and early feminist journalism, and current innovative scholarship on the New Woman. While the term ‘New Woman’ originated in England, the cultural phenomenon extended beyond Britain and we wish to explore its presence (or reasons for its absence) and influence in other countries and across disciplines. We offer a much needed scholarly platform for inquiry, information, and exchange to academics, independent scholars and doctoral students working on these topics, and aim at covering both canonical and non-canonical New Woman figures and aspects. Please direct any enquiries and submissions to the general editor, at unbolt@gmail.com.